Mailspring is a desktop email client with modern features like unified inbox, snoozing, reminders, templates, offline search, and support for Gmail labels. It even has a built-in "dark" and "ubuntu" themes so you can style it to match your desktop. 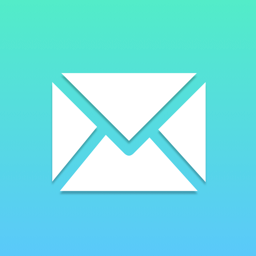 Move to Mailspring and breathe life back into your tired inbox! Mailspring is absolutely free and supports all IMAP providers, including Gmail, Office 365 and iCloud. Mailspring does not support Microsoft Exchange ActiveSync. If your work revolves around email, Mailspring Pro adds even more features, supercharging the app with read receipts, link tracking, send later, reminders, contact profiles, email analytics and more. At $8/mo, Mailspring Pro is an affordable alternative to sales and business email extensions and the first tool to bring all these powerful features to any IMAP providers. Mailspring is open-source software (https://github.com/Foundry376/Mailspring) and Mailspring Pro subscriptions allow the core maintainers to work on Mailspring and keep improvements coming. In order to use Mailspring, you need to create a Mailspring account. However, none of your email credentials or passwords are ever sent to the cloud. Your Mailspring ID holds things like snooze dates and mail rules, so you can re-install Mailspring or use it on two computers at once.